State and nation, as he tries to widen his photographic experiences. 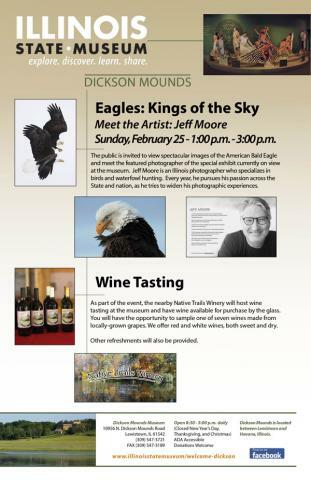 As part of the event, the nearby Native Trails Winery will host wine tasting at the museum and have wine available for purchase by the glass. Visitors will have the opportunity to sample one of seven wines made from locally-grown grapes.